Placed creatively, a single occasional chair can completely transform a space, either becoming a focal point or seamlessly blending with an existing aesthetic. Lovingly created to complement our range of made to order sofas, our occasional chairs range from the subtle to the vibrant, offering design solutions that are at once modern and timeless. France has long been known as a country of great taste and of a flair for the fashionable and luxurious. 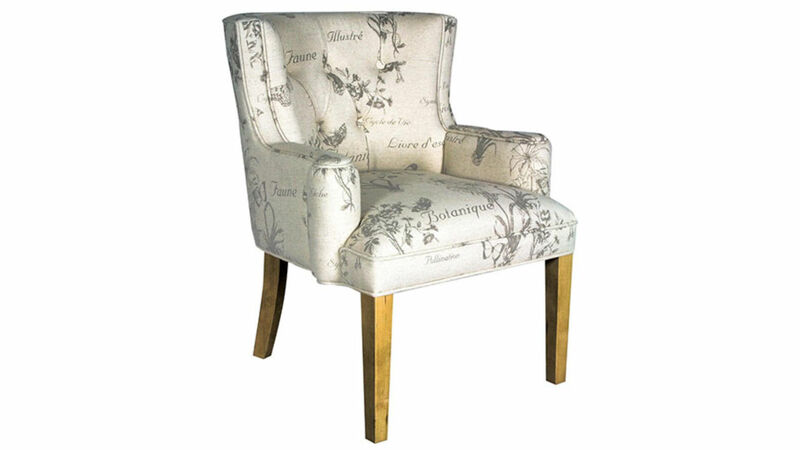 Our Fleur occasional chair, standing on four straight wooden legs, is an understated piece of furniture that is compact and neat, emblazoned with expertly-rendered floral designs and French bon mots. Comfortable curves give this chair an inviting feel and the deceptively-yielding seat and back cushions offer unrivalled comfort and support to the sitter. 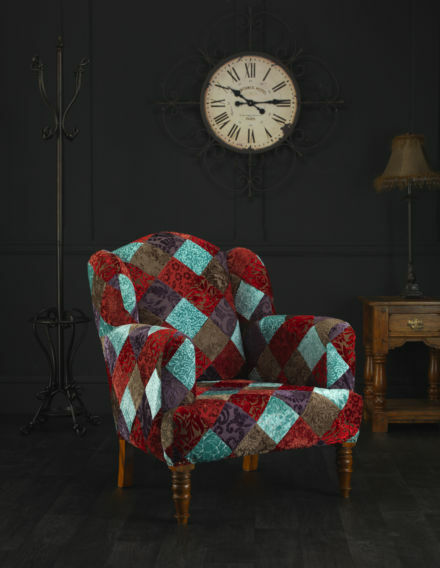 At the other end of the aesthetic scale is our wonderful and mystical Alice velvet patchwork chair. Regal, rich tones have been perfectly blended and crafted in an explosion of colour, displayed as a complex patchwork design reminiscent of the Wonderland created by Lewis Carroll. Without trace of subtlety, this chair boldly announces itself and will quickly become a central focus of any space it is placed in, inviting sitters to experience its combination of esoteric style and superior comfort. An unusual yet exciting addition to a room can be provided in the form of our quirky Matilda velvet patchwork stool. 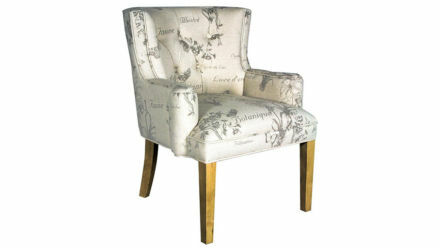 This cute piece is just 10” high yet has a generous seat area of 40cm², allowing the sitter to comfortably relax. Stout, stylish legs support the uniquely-attractive stool, which is currently available from Russkell Furniture at the attractive price of just £66.99. Please enjoy browsing these and the other occasional chairs in our exciting range and do not hesitate to contact our dedicated customer service team directly on 01254 773232 or by email at info@russkellfurniture.co.uk for further information and support.